Joseph Smith Jr. (December 23, 1805 – June 27, 1844) was an American religious leader and founder of Mormonism and the Latter Day Saint movement. 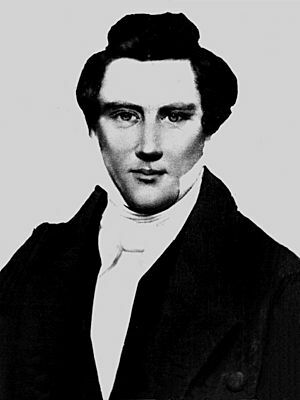 When he was 24, Smith published the Book of Mormon. By the time of his death fourteen years later, he had attracted tens of thousands of followers and founded a religion that continues to the present. Smith was born in Sharon, Vermont. By 1817, he had moved with his family to what became known as the burned-over district of western New York, an area of intense religious revivalism during the Second Great Awakening. According to Smith, he experienced a series of visions, including one in which he saw "two personages" (presumably God the Father and Jesus Christ) and others in which an angel directed him to a buried book of golden plates inscribed with a Judeo-Christian history of an ancient American civilization. In 1830, Smith published what he said was an English translation of these plates, the Book of Mormon. The same year he organized the Church of Christ, calling it a restoration of the early Christian church. 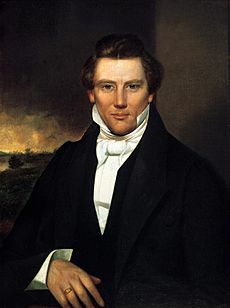 Members of the church were later called "Latter Day Saints", or "Mormons", and in 1838, Smith announced a revelation that renamed the church as the Church of Jesus Christ of Latter Day Saints. In 1831, Smith and his followers moved west, planning to build a communalistic American Zion. They first gathered in Kirtland, Ohio, and established an outpost in Independence, Missouri, which was intended to be Zion's "center place". 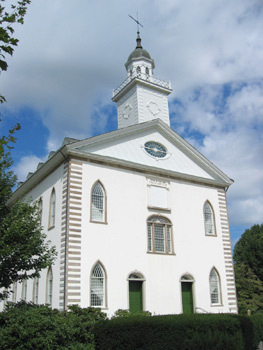 During the 1830s, Smith sent out missionaries, published revelations, and supervised construction of the Kirtland Temple. 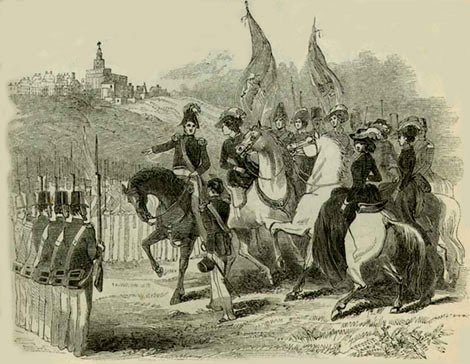 The collapse of the church-sponsored Kirtland Safety Society Anti-Banking Company and violent skirmishes with non-Mormon Missourians caused Smith and his followers to establish a new settlement at Nauvoo, Illinois, where he became a spiritual and political leader. In 1844, Smith and the Nauvoo city council angered non-Mormons by destroying a newspaper that had criticized Smith's power and practice. Smith was imprisoned in Carthage, Illinois. On June 27, 1844, an armed mob with blackened faces stormed Carthage Jail where Joseph was being held. He was shot multiple times before falling out the window, crying, "Oh Lord my God!" He died shortly after hitting the ground, but was shot several more times before the mob dispersed. Five men were later tried for Smith's murder, but were all acquitted. Smith was buried in Nauvoo, and is interred there at the Smith Family Cemetery. 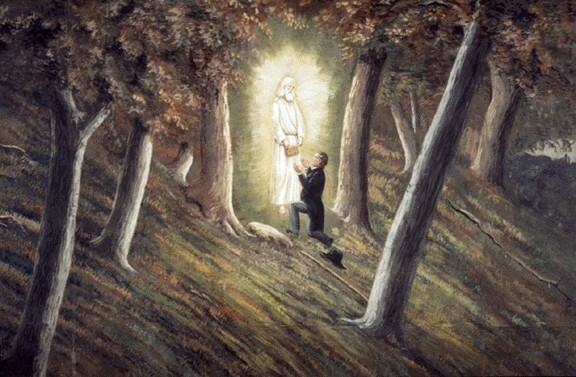 Joseph Smith, Jr. Facts for Kids. Kiddle Encyclopedia.